All necessary items will be wrapped with moving blankets. 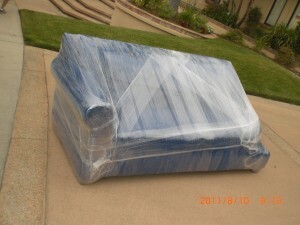 To secure moving blankets and keep them clean, we use shrink wrap. 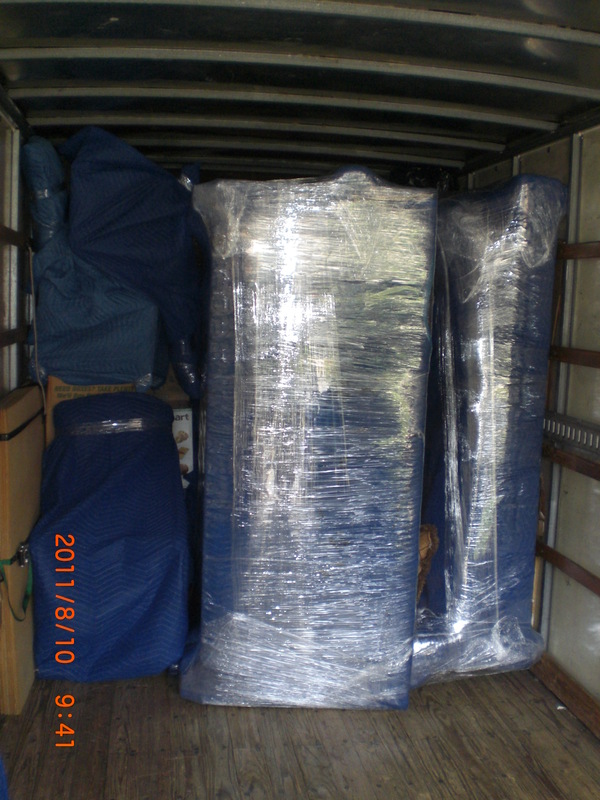 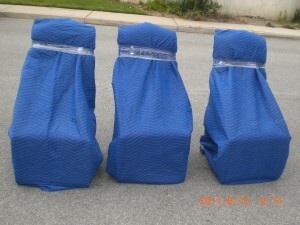 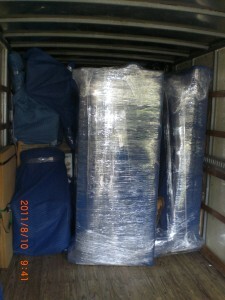 When your item is wrapped with moving blankets and shrink wraps, it will be carefully loaded into the truck.